After consistently placing in the top three at the City Championship, the NCP Cheer Team was looking to leave a mark Sunday, Jan. 20 at the UIC Forum. Besides the city competition the Cheer Team had already participated in invitationals, competitions hosted by schools in preparation for the IHSA sectionals. CPS cheerleading is divided into four categories: Small Varsity, Medium Varsity, Large Varsity, and Co-Ed Varsity. 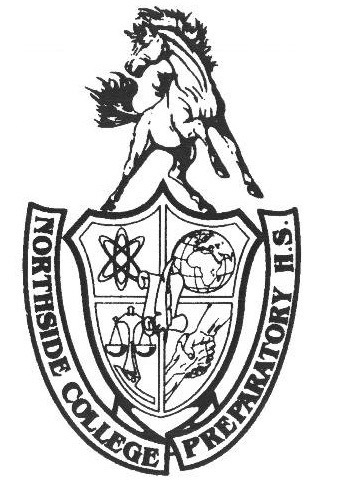 Northside competes in the Medium Varsity category with sixteen girls on the mat. There were originally fourteen teams in this category but one pulled out last minute, leaving Northside to compete against thirteen other schools. Some of the schools in the Medium Varsity category included Kenwood, Kennedy, and Gwendolyn Brooks. Large Varsity included Taft and Lane Tech. In the Small Varsity, Lincoln Park, Mather and seven others competed for the gold. Led by new coach Mr. Mark Thompson, math department, and captains Jacqueline Rodriguez, Adv. 901, Laura Parada, Adv. 007, and Jaelah Cole, Adv. 009, the team was looking to make top three after losing long time coach Katherine Michau. Cheer starts practicing during the summer and performs at Men’s Basketball games during the winter. This year there are seventeen girls: sixteen for competition and one alternate. Cheer performances are a combination of cheers, stunts, and dance moves, making it a very demanding sport. Choreography was made primarily by the captains and they performed to a mix of “Break a Sweat,” “Congratulations,” “On the Floor,” and “Fly,” with the addition of custom elements in their music. Northside fought with stellar facials and high energy but ultimately did not come out on top. In cheer, there are point deductions for violations such as a fallen stunts. Northside received two, one point penalties during their routine. Often penalties can set apart first or second place, making hitting every stunt vital in performance. After many performances from the Small and Medium categories, the first round of awards were announced. Brooks took home first place, Kenwood earned second, Solorio received third, and Northside ended up placing in fourth. Rodriguez said, “This competition didn’t go as planned, but we still had a good time. It was my last city competition as a senior and I’m just glad we tried our best even though we didn’t come on top. I’m proud of all the work the team has put in this season and I’m excited for what’s next for the team.” After the Small and Medium categories finished, Large Varsity and Co-Ed were next. Senior Justice Griffin-Morales, Adv. 904, said “It was a fun last city competition and we left everything on the mats, which I am super proud of. No matter the score, we left feeling like we can only get better from here.” Although this will be the last city competition for seniors Rodriguez and Griffin-Morales, the team was looking to improve at the IHSA Sectionals. The team competed in the Medium category on Saturday, Jan. 26 at Niles West looking for a bid to the state competition in February. Although the team had a strong performance, Northside was unable to qualify for the state competition in Bloomington. After a long season, competitions came to an end, but you can still catch cheer performing at the last basketball games of the season. Cheer is a tightly-knit, fun, and serious sport at Northside. If you are interested in being on the cheer team, tryouts are typically held at the end of the school year in June. Any of the captains or Mr. Thompson can be contacted with further questions. Mar 19 ILJCL: Spirit, Competition, Certamen, Oh My! Nov 20 Cheering for Cheer Season!